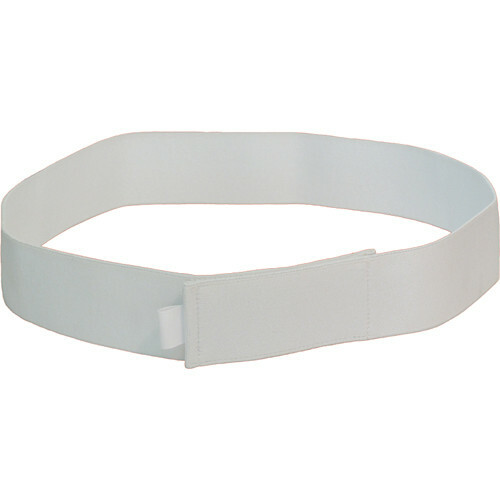 The white Wireless Mic Belts WMB Belt for Belt Pacs (28") allows you to wear a wireless microphone transmitter within a WMB custom fit belt pac (sold separately). It is used to conceal or camouflage your wireless mic transmitter for stage and screen purposes. The belt is made from 2" woven elastic and features a 4" hook and loop fastener for closure. The belt is 28" long, and can stretch an additional 4" for expanded comfort. Box Dimensions (LxWxH) 6.8 x 3.6 x 1.3"
WMB Belt for Belt Pacs (28", White) is rated 4.2 out of 5 by 5. Rated 2 out of 5 by Cee from Waist band too short The waist band says 28 but it's way toooo tight at 27. Need to return it. Rated 5 out of 5 by Mike A. from Great for Mic Hiding and Placement Works well on talent for hiding the packs.